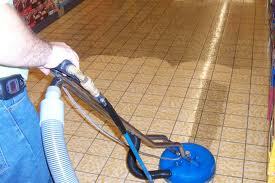 It is a fact that weekly tile cleaning is quite easy. You just need a solution of water and suitable detergent and a rag. After the surface is spotless, you rinse it and that’s it. Cleaning the grout in between the tiles, however, is a completely different story. Here’s some essential advice on how to do a good job. What Makes Grout Difficult to Clean? The answer is: its structure. This compound does an excellent job in keeping tiles together, but it is porous and this is where all the cleaning trouble comes from. It is like a sponge for dust and dirt. In the bathroom, it can hold soap and in the kitchen - oil which is deposited into the pores in vapor form. Given this, it’s not surprising that this is the first place where mold attacks. Mold removal should start from the grout too. Does all this mean that grout is impossible to clean? No, this is definitely not the case. 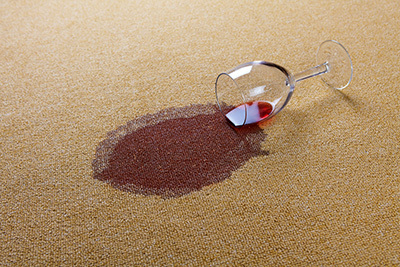 The purpose of this detailed explanation is to show you that you need to clean it as frequently as possible using the right products and techniques to keep it in good condition. Surprisingly or not, warm water is the primary “cleaner” to try. 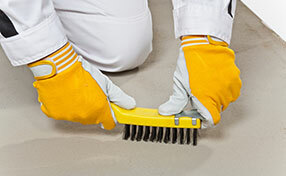 Generally, if you clean the grout frequently, you will probably not need anything else. If you need a more powerful cleaner, you can try another homemade solution - mixing equal amounts of warm water and white vinegar. It is best to use a spray bottle to apply it. For more powerful action, you can make a paste of baking soda and water first and then apply this solution. The key to success with this grout cleaning approach is to wait until the mixture has stopped foaming before you start scrubbing. If you decide to use a commercial product, you have to ensure that it is powerful enough and completely safe to use in the first place. 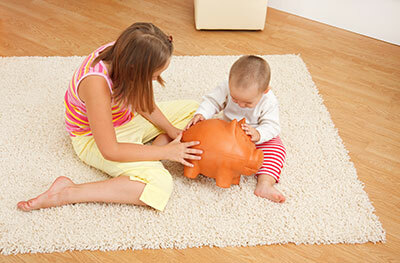 Eco-friendly products are always the best choice, especially if you have small children, pets or both. How about the Cleaning Tools?